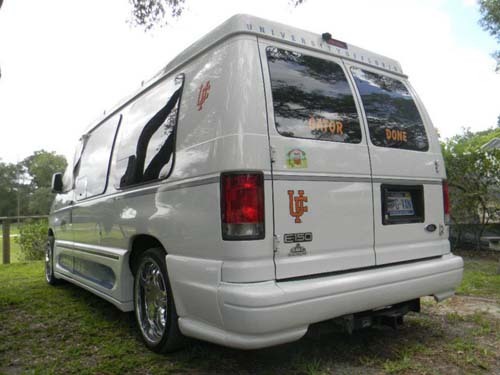 The Gator Van is an award winning 2005 Ford E-150. It has a 4.3 motor and is rolling on custom 20 inch wheels. 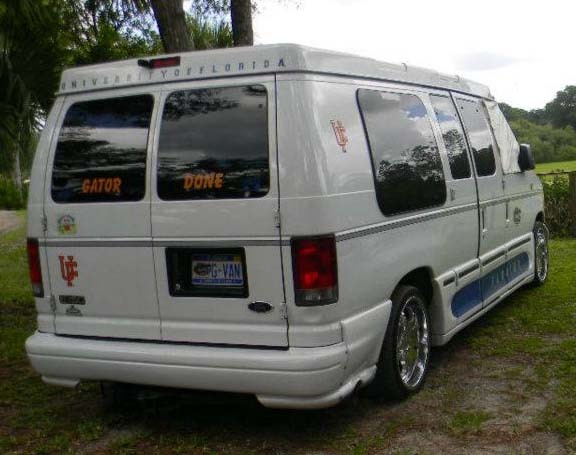 The Gator Van is one of fifty gator themed vans that were built. 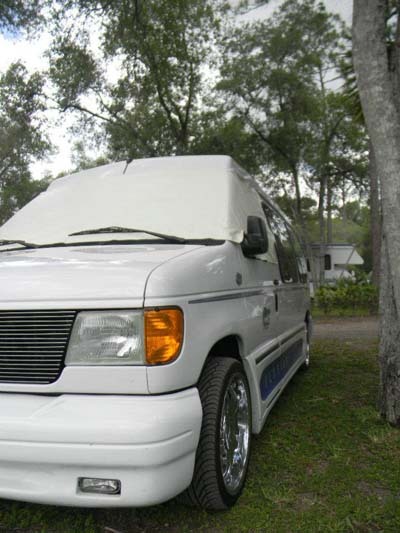 It has a one of a kind paint job that was freshened up and racing stripes added in June 2014. It also sports a custom fiberglass body kit and low profile high top roof. 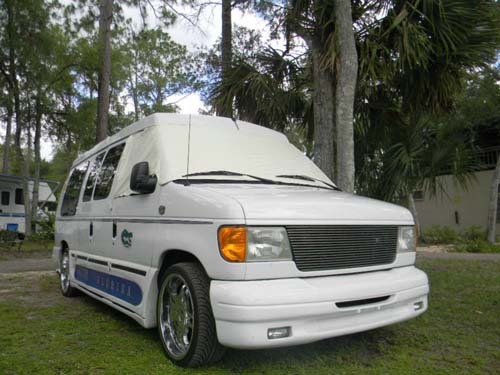 This allows for extra interior height but still allows The Gator Van to be safely tucked away in a garage. 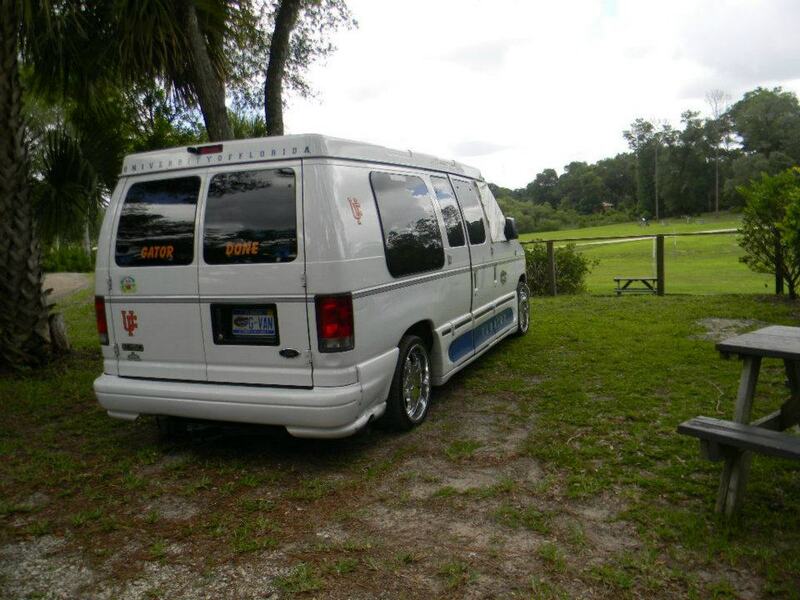 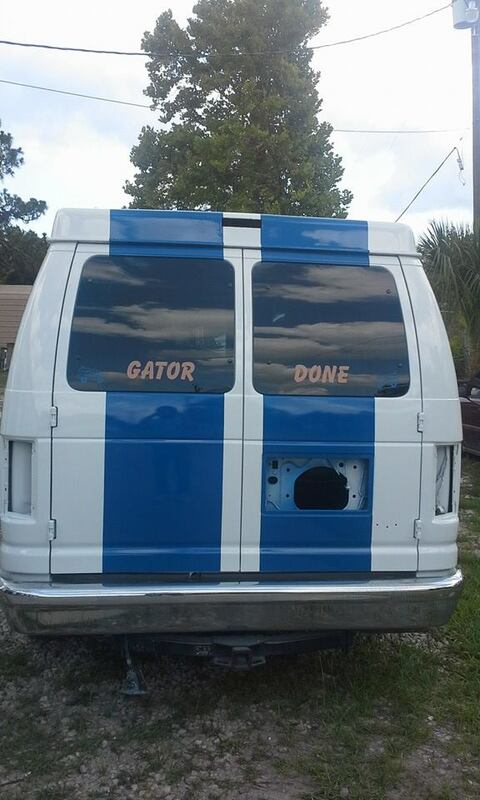 Mark's van has a Florida gator themed interior that will be updated in 2015, so be on the lookout for that.